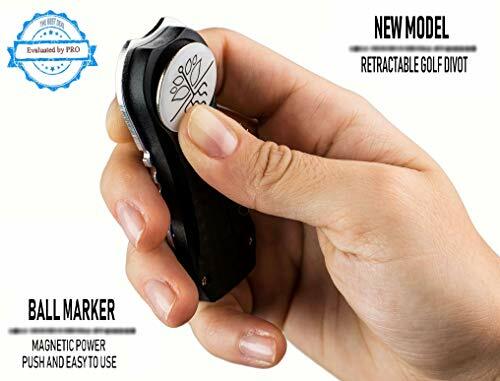 *More Easy - the Divot Repair Tool Weighs Just 0.07 lb. This specialty GolfTool combines the classic Swiss Army Knife functions with the essential golfing tools you need for a day on the course. Whether a gift for yourself, your groomsmen, or the avid golfer in your life, there's always a reason to keep this tool within close reach. 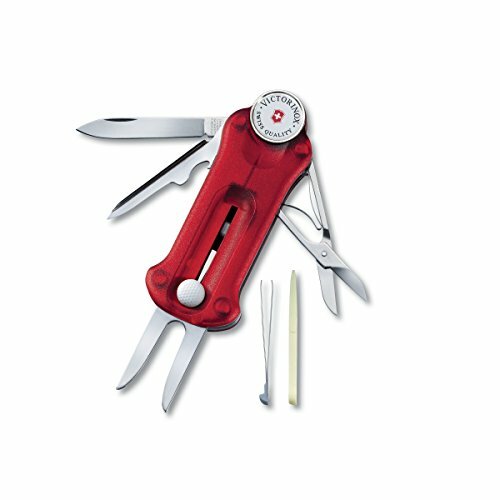 The divot repair tool, ball marker, tee punch, and groove cleaner make this Swiss Army Knife unique from any other. With all your golf tools housed in one convenient nylon case, you'll never have to waste time rummaging through your bag looking for one specific tool again. 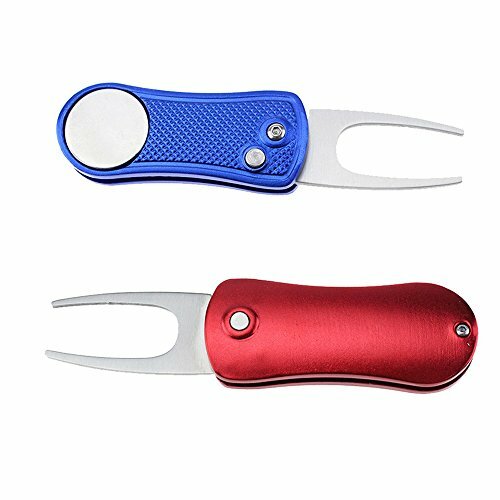 The locking divot repair tool easily slides forward to replace divots in the grass. When an implement is in use, the other tools retract into the handle for a comfortable grip. The groove cleaner blade can be used for both clearing the club head grooves and for punching the tee position, especially useful when the ground is hard or frozen. Like all Swiss Army Knives, the GolfTool has a lifetime warranty, stainless steel implements and Swiss-made quality and durability. In 1884, Master Cutler Karl Elsener opened a cutlery shop in Ibach, Switzerland. There, he and the cutlers union he formed produced the finest steel cutlery, finished with the now-famous proprietary edge preferred globally by professional and home cooks. In 1891, Karl supplied the Swiss Army with its standard issue Soldier s Knife and in 1897 with the Officer s Knife. In 1921, after the death of his mother, Victoria, and with the advent of stainless steel, then known as inoxydable"" and used in the production of his cutlery, Karl changed the name of the company to Victorinox. It is from those humble beginnings that a worldwide icon was born. After you ve used your Swiss Army Knife for all of its various applications, such as cutting open numerous boxes, you may notice that the blades begin to stick together. Opening and closing the blades in warm water several times will allow the tools to easily move again. Once they have dried, it is recommended, to apply a small drop of oil between the blade or tool shank and the spring. To optimally maintain the locking mechanism, periodically apply a drop of our recommended Swiss Army Knife Oil. Never put Swiss Army Knives in the dishwasher. In 1884, Swiss cutler Karl Elsener set up shop in Ibach-Schwyz, installing a waterwheel in Tobelbach Brook to run his grinding and polishing machines. Thus began what would become the international brand name Victorinox, a combination of Victoria, for Elsener's mother, and "inox," or stainless steel. Today, Victorinox produces watches, luggage, clothing, and, famously, Swiss Army Knives. The original product dates to 1897, when Elsener patented the Swiss Officer's and Sports Knife he supplied to the Swiss Army. Following World War II, American servicemen and women shopping in PX stores shortened the name to Swiss Army Knife, which lives on in English-speaking countries around the world and has become a metaphor for versatility. Length: 3.583 (91mm), Height: .610, Weight: 2.258 oz. 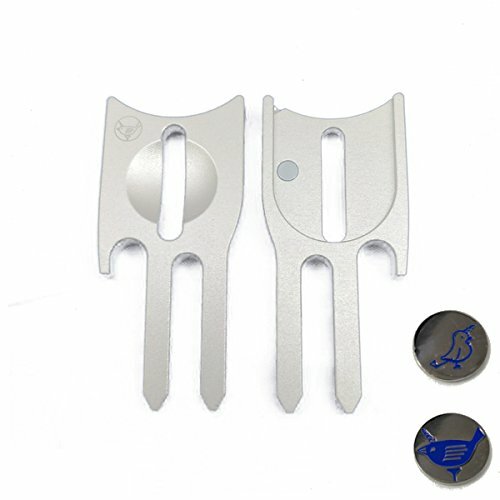 Brand: Victorinox | Manufacturer: D&H Distributing Co.
Take your favorite team with you on the golf course with this golf divot repair tool and ball marker. Two great items in one. 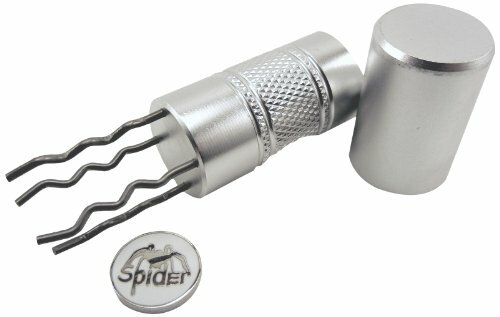 Magnetic ball marker easily attaches and releases. High quality metal construction. Classic, timeless look and feel. Official logos of the team. Officially licensed by the team and the league. A terrific gift idea for your favorite golfer and fan. Made in the USA.